Written by Barbara Fister. You can read the original version of this article here. Of all of our cultural institutions, the public library is remarkable. There are few tax-supported services that are used by people of all ages, classes, races, and religions. I can’t think of any public institutions (except perhaps parks) that are as well-loved and widely used as libraries. Nobody has suggested that tax dollars be used for vouchers to support the development of private libraries or that we shouldn’t trust those “government” libraries. 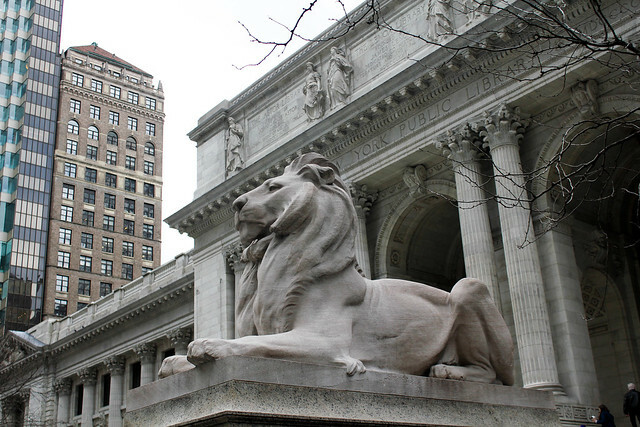 Even though the recession following the 2008 crash has led to reduced staff and hours in American libraries, threats of closure are generally met with vigorous community resistance. Visits and check-outs are up significantly over the past ten years, though it has decreased a bit in recent years. Reduced funding seems to be a factor, though the high point was 2009; library use parallels unemployment figures – low unemployment often means fewer people use public libraries. A for-profit company that claims to run libraries more cheaply than local governments currently has contracts to manage only sixteen of over 9,000 public library systems in the U.S. Few public institutions have been so impervious to privatization. I find it intriguing that the American public library grew out of an era that has many similarities to this one – the last quarter of the 19th century, when large corporations owned by the super-rich had gained the power to shape society and fundamentally change the lives of ordinary people. It was also a time of new communication technologies, novel industrial processes, and data-driven management methods that treated workers as interchangeable cogs in a Tayloristic, efficient machine. Stuff got cheaper and more abundant, but wages fell and employment was precarious, with mass layoffs common. The financial sector was behaving badly, too, leading to cyclical panics and depressions. The gap between rich and poor grew, with unprecedented levels of wealth concentrated among a tiny percentage of the population. It all sounds strangely familiar. The changes weren’t all economic. A wave of immigration, largely from southern and eastern Europe and from the Far East before the Chinese Exclusion Act of 1882, changed national demographics. Teddy Roosevelt warned of “race suicide,” urging white protestant women to reproduce at the same rate as other groups to make America Anglo-Saxon again. The hard-won rights of emancipated African Americans were systematically rolled back through voter suppression, widespread acts of terror, and the enactment of Jim Crow laws. Indigenous people faced broken treaties, seized land, military suppression, and forced assimilation. How interesting that it was during this turbulent time of change when the grand idea of the American public library – a publicly-supported cultural institution that would be open to all members of the community for their enjoyment and education – emerged. Like so many grand social projects dreamed up by our current tech billionaires, the first great public libraries were started by the Bill Gates and Koch brothers of their day. The architecture of these libraries emphasized that culture was the province of the elite, palaces guarded by lions and approached up flights of stairs. These impressive institutions were supposed to provide immigrants with a carefully curated introduction to the treasures of Western civilization, but the masses had their own ideas; they filled newspaper reading rooms and skirmished with librarians over adding popular literature to the canonical collection of uplifting literature. (Long story short: they won). These palatial libraries were ambiguously democratic. Though “free to all” might be inscribed over the doorway, their policies were often conservative, with ungenerous opening hours that discouraged workers with limited free time, closed stacks to prevent unsupervised browsing, and architectural hints that culture was a purifying pursuit, consistent with the City Beautiful movement which proposed serene and classical beauty as the cure for urban problems. Yet they were popular, and they laid the groundwork for a durable expectation that communities would have free public libraries. Toward the end of the 19th century, another vision for public libraries emerged, championed by women in towns across the country and boosted by another industrialist with a philanthropic bent. But that’s another story for another blog post. This response to turbulent social stress would be unimaginable today. President Trump’s proposed budget completely defunds the Institute of Museum and Library Services and cuts LSTA grants to local libraries. Our new FCC commissioner has cut out a program that made internet access affordable for resource-poor schools and libraries, rolled back privacy protections so ISPs can get into the targeted advertising game, and now is attacking net neutrality rules so that our telecoms will be able to favor their content and limit access to competitors’ – or to sites that aren’t run by deep-pocket corporations. County law libraries in Washington State, like the Public Law Library of King County, are open to the public but in fact receive no public tax dollars. Unlike general public libraries, we lack the ability to levy taxes and instead rely almost entirely on fees assessed on paid civil filings in Superior and District court. If you file a civil case in one of these courts and pay the filing fee, the law library in your county receives a very small portion of that fee. If you use your county law library for some reason but don’t need to file a case, or do file a case but ask the court to waive your filing fee, you don’t pay anything for the law library’s services. What made the vision of “free to all” so attractive in the late 19th century? Why now do we have to pay for “free” information services with our privacy and, ultimately, our freedom? And, given this dismal state of affairs, why do free public libraries persist?